The SaaS 13 Index representing the 13 major public SaaS companies has recovered very strongly (up 82.36%) since the beginning of the year, outperforming strongly the NASDAQ (up 29.5%). 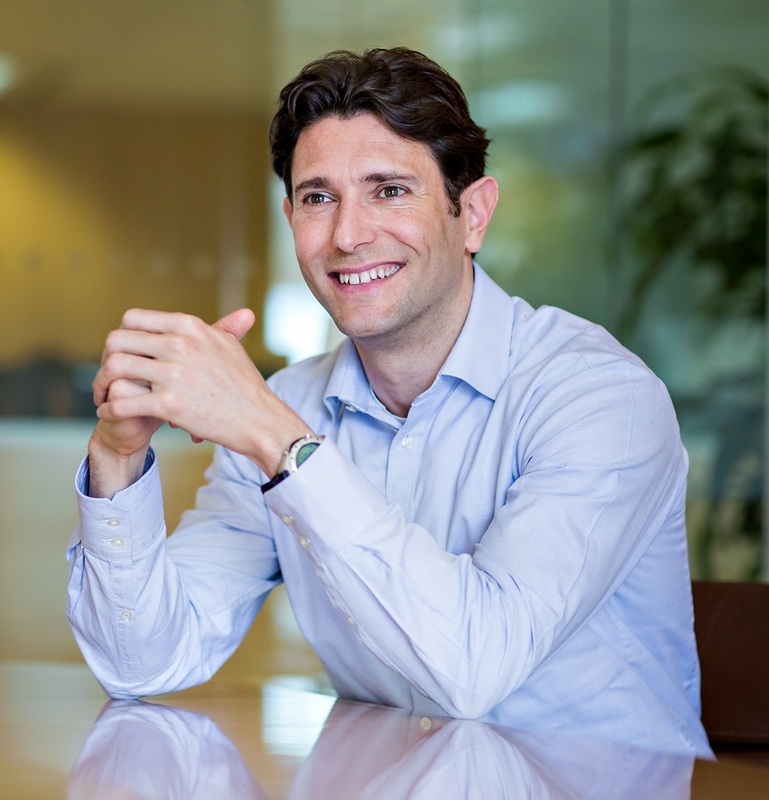 This strong recovery has highlighted the resiliency of the recurring revenue model in a downturn as well as the stength of the shift to soaftware-as-a-service and cloud computing. The growth rate has declined from an average of 46% from 07/08 to 14% forecatsed this year, but a few players are still showing a very strong growth, such as SuccessFactors (33%) and Constant Contact (49%). However, if the SaaS & Cloud computing industry is doing relatively well in this downturn, the recession has severely impacted the sales&marketing productivity of these companies, with longer sales cycle, smaller deal size and limited upsells opportunity. One way to measure this productivity is to look at the Customer Acqusition Cost ratio that I have defined in a previous post. Typically, you want this ratio to be close to 1.0, equivalent to a one year payback on your sales&marketing investment. 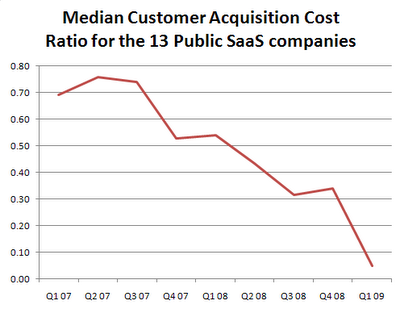 If the ratio is lower than 0.33 (3 year payback), you really need to rethink your sales process. 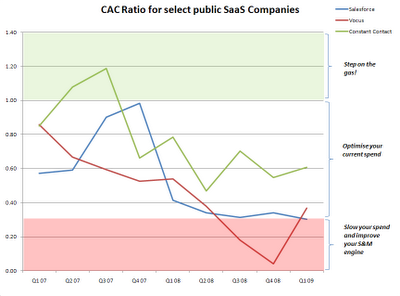 The following graph shows the evolution of the median CAC ratio by quarter for the SaaS 13 Index. As you can see, despite the strong recovery in stock value, the productivity has declined sharply in the past quarter and the figures do not show at this point that the bottom has been reached. The historical CAC trends are now available on the Google Spreadsheet that you can access by clicking on this link and I have also posted a live feed on the CAC ratio trend on the left column of the blog. Hi Philippe - great post, shocking analysis. What I'd really like to see is what has happened to average sales prices for these vendors. In other words, how much of the decline in revenue growth is due to signing up fewer customer vs lower revenues from each new customer. My theory is that the natural decline in prices has been dramatically accelerated in the recession.